Good news, tired pregnant ladies! Science has just given frequent napping a big thumbs up when you’re expecting, with new research proving just how beneficial sneaky siestas are for your baby. Quick, get thee to the couch! It’s no secret that women who are expecting love a little lie-down, but a new study published in the Sleep Medicine journal has found that taking regular naps during pregnancy actually reduces the risk of having a baby with a low birth weight. Chinese researchers analysed data from over 10,000 participants in the 2012-2014 Healthy Baby Cohort study and subsequently learned that the pregnant women who regularly took afternoon naps for between 60 and 90 minutes were 29 percent less likely to have a low birth weight baby, compared with all those non-napping expectant mums. Those who napped five to seven days a week also reduced the chances of having a low birth weight baby by 22 percent. A low birth weight is considered anything lower than 2.49 kg (5.5 lbs) and is a concern because of the health complications it can bring with newborns more likely to have breathing problems, contract infections, be unwell and have trouble keeping warm. In the long-term, low birth weight babies also have an increased risk for developing other conditions in adulthood such as obesity, diabetes, high blood pressure and heart disease. 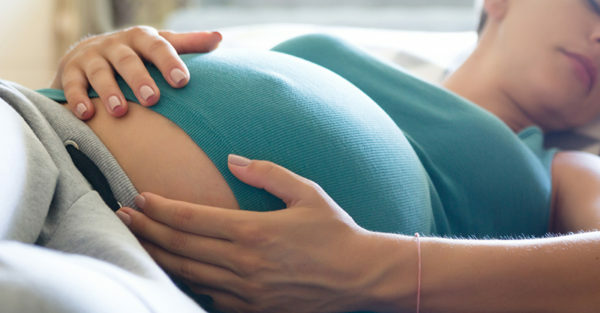 Pregnant women are generally more tired than usual because of all the hormonal and physical changes happening to their body (especially in the first and third trimesters), plus they may not be getting their normal amount of sleep at night due to feeling unwell or uncomfortable, and needing to go to the toilet more often. With inadequate sleep contributing to health issues like low immunity and poor mental state, expectant women should be making sure they get a decent amount of shut-eye regardless. And now there’s even more reason to resist the urge to power on and take time out instead to catch up on sleep – your baby. Just as other factors such as diet and stress are important during pregnancy, experts believe this new study helps prove that sleep is also something women should pay attention to as part of their overall pregnancy health. Although the study found that pregnant women who napped for longer than an hour each time had the biggest benefits, if you can’t fit that much in each day, don’t worry because a little burst of shut-eye can be really good too. They don’t call it a power nap for nothing and both you and your baby can use all the energy you can get! So next time you feel the urge to close your eyes, don’t fight it and take that snooze guilt-free – your doing it for your baby! How did you fit in more naps and sleep when pregnant? Tell us on Facebook.